Why IAF is advocating HAL being broken up into smaller companies ? Indian state-owned aerospace and defense company Hindustan Aeronautics Limited (HAL) has been in wrong news off lately and the recent leak of the poor financial condition of the company to push the current government in a corner can seriously backfire in near future if the current government is able to come back to power and agrees to key recommendations which have been made by Indian Air Force (IAF) . ” Cash-cow” that is fighter division of the HAL is drying up and cancellation of FGFA program and fallout of MMRCA deal means that LCA-Tejas has become the sole program which HAL has in its kitty, but recent delays in the final agreement on 83 Tejas Mk1-A and exuberant price quoted by HAL and other compliance issues which IAF has raised might come has final nail in coffin for the Giant which is struggling to stay afloat. IAF is not only keen on taking over management of LCA-Tejas program from HAL but also is advocating major reforms which government can carry out to re-structure the organization and make it leaner and more competent in the aviation market. 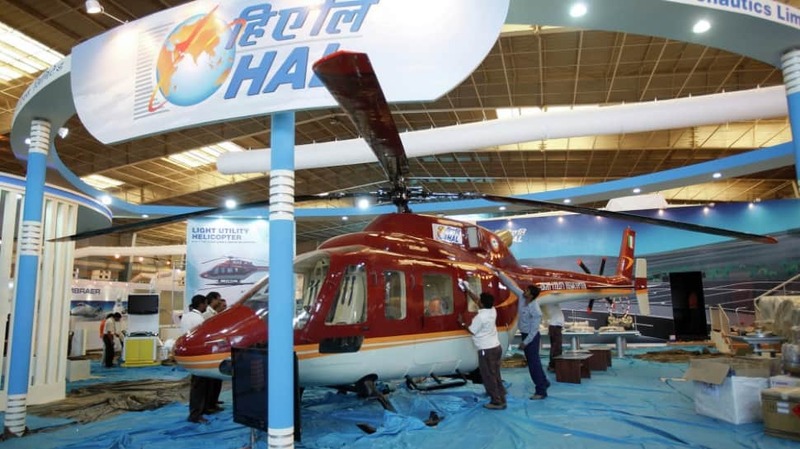 HAL which recorded the highest ever turnover of Rs 18,28,386 lakhs in the 2017-18 financial year, barely had the contribution from export at just Rs 500 crore. HAL is too much depended on IAF for its orders and its easy bread and butter always has been license production of foreign fighters like MiG-21, MiG-27, Jaguars, and Sukhoi 30s without much in-house capabilities to develop similar aircraft for the country. Air Marshal Matheswaran who has closely worked with HAL in past in many key projects in his recommendations to the government requested HAL to be split into many smaller companies not only for effective management of the company but to also ensure that it can achieve accountability and performance from this smaller companies. He strongly believes that Split will help replicate success which many companies like Dassault and Embraer achieved after going through similar major re-structuring of their organization. Air Marshal Matheswaran in his report mentioned that HAL units which are spread out in the whole country, not only contributes to the inevitable inefficiencies in the organization due to mammoth scale of the organization that it always ends in poor quality of products and delays in almost every program which is undertaken by the company. Air Marshal Matheswaran asked the government to split fixed wing and Helicopter division into two separate companies so the new company in charge of Helicopter division will be able to work independently and also engage in next-generation future vertical lift programs for the armed forces without depending on the limited in-house pool of resources. HAL not only has to face the risk new private entities into its domain but is also facing split of its own units into multiple smaller companies and repeated backing by the opposition and many leaks of the current state of the company to the media seems to be well planned out strategy of the management to kill two birds with one stone .HAL not only failed to become premier design agency after it backed out from LCA-Tejas program in the early ’80s but it also allowed DRDO and many of its associated labs to come into the aerospace ecosystem which exclusively was controlled by HAL that it no longer makes sense for the Government and IAF to keep pumping money into an under performing mammoth just for the sake of National interest. DRDO is not only keen on allowing private players to take over a major chunk of its production role, but the organization is also not shying away from major major re-structuring nor it’s complaining over the participation of private players in many key sector of the defence establishment. HAL needs to come up with better ways to protect the interest and also improve its own performance if it doesn’t want to be split into multiple companies. IAF might not be able to immediately force MOD and Defense ministry to push major changes which it has been pushing for years now in HAL but if HAL continues to bicker and continues to fail to take up responsibilities of its actions then the inevitable will happen, maybe not soon but in near future.